A beautifully refurbished apartment based in the delightful Palma Old Town with the added bonus of outdoor space and Jacuzzi. 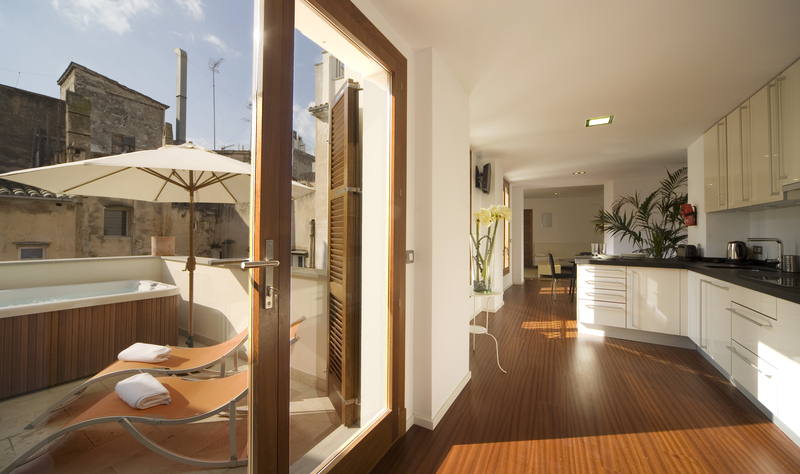 This apartment has rare outdoor space considering it's location in Oldtown Palma. It is also south facing. The setting cannot be better. The street runs parallel with Passeig des Born which is the most exclusive shopping street in Palma. The apartment is a stone’s throw from La Llonja which is where most of the best tapas restaurants in Palma are. 1 Bedroom plus a double sofa bed so the apartment can sleep up to 4 people. Air-conditioning, WiFi, Freeview English TV, DVD player and video player. Surrounded by Cafes, Restaurants, Tapas Bars & designer shops. Every cobblestone road leads to Palace courtyards & fine art galleries. Recently re-furbished to high Mallorcan style. 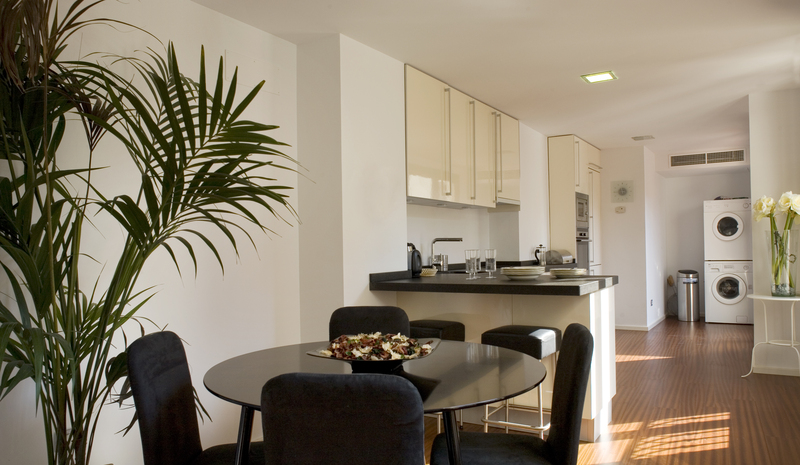 Beautiful contemporary apartment, lovely terrace with hot tub and BBQ. 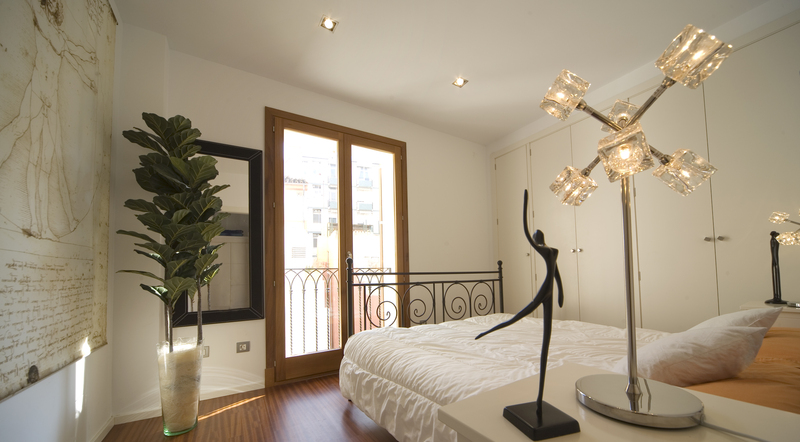 Location was perfect as you were right next to the main shopping streets in Palma and the spectacular cathedral. The apartment was very nice and the location was superb! It was very clean and tidy. We will really recommend this apartment! Booked this apartment for 2 weeks for my husbands 60th birthday, we were delighted. The apartment itself is very spacious and could easily accommodate 4 people. It is well equipped for self catering. The welcome pack we received was wonderful and meant we did not have to worry about shopping immediately. Located just off the Passeige Del Bourne where there are numerous bars and restaurants to eat and drink. Also only a couple of minutes walk from the stunning Cathedral which is well worth a visit. 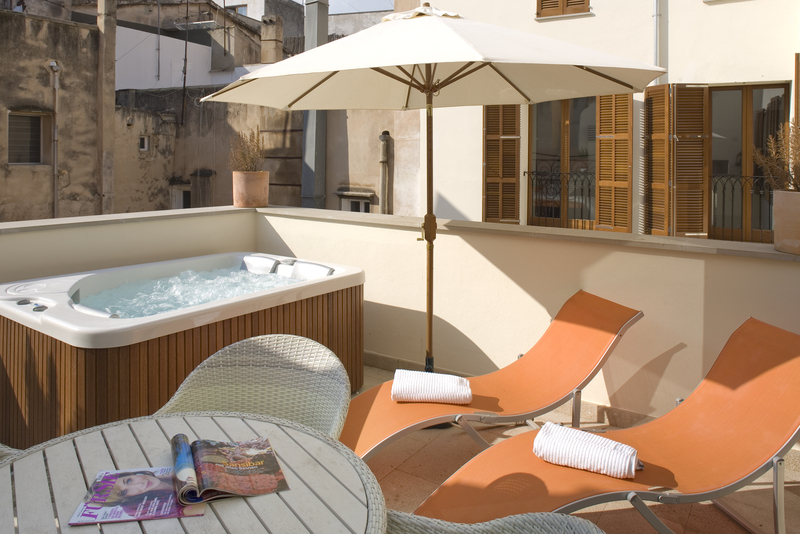 Having a private sun terrace and jacuzzi is a bonus. Fantastic apartment, with luxury fittings and the jewel in the crown – outdoor space in the centre of Palma. This apartment is perfect and maintained to very high standards. It is equipped with everything you might need for both a short or long stay. A nice touch was the welcome pack with essentials, particularly useful until you find your way around to stock up. Very peaceful, despite being in the centre of town. The bedroom had plenty of storage space and the bed was very comfortable, with lots of spare bedding should you require it. 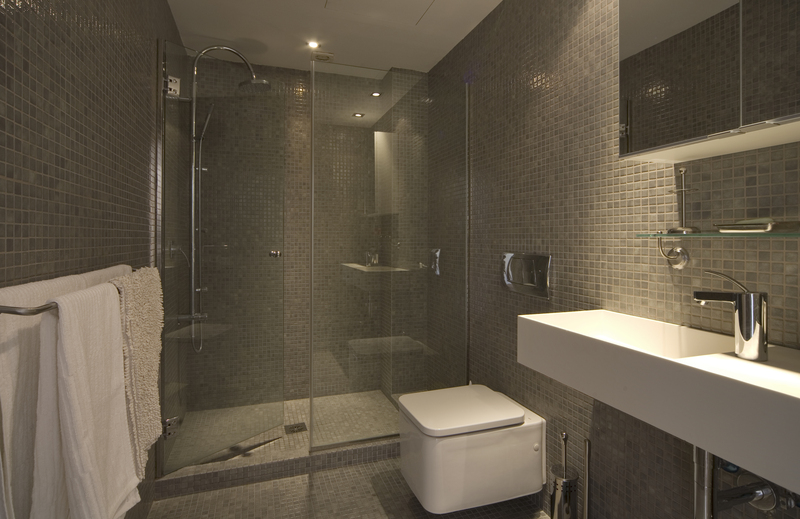 The shower room was excellent too, very modern fittings, all working well. We loved the lounge area and skybox was a bonus for my husband!!! Great location for shopping, strolling and eating. Short walk to tapas bar area with two tapas bars to the left of our front door. Would highly recommend and can’t wait to visit again. Particular mention to Jackie who dealt with all my questions. Thank you for a wonderful stay. Majorca, or Mallorca is an island located in the Mediterranean Sea. It is the largest island in the Balearic Islands archipelago, in Spain. The capital of the island, Palma, is also the capital of the autonomous community of the Balearic Islands.